As we were googling where to eat in Hanoi we discovered there are actually two Red Bean Hanoi restaurants. The original restaurant that we visited and the nearby Red Bean Trendy. On one level, the restaurant takes it’s name from the red bean that is so important to Vietnamese cuisine. Not only does this humble bean have a high nutritional value and adapt equally well to sweet or savoury dishes, but it has a deep and powerful meaning within Asian societies where it is a symbol of love and fidelity. On a more personal level, the owner’s youngest son was nicknamed đậu đỏ (red bean in Vietnamese) because they believed he resembled a red bean when he was born and the name stuck. How cute! We walked the short distance to Red Bean Hanoi from the Hanoi Glance Hotel where we stayed with the help of the GPS. The gleaming heritage like exterior made a great first impression. 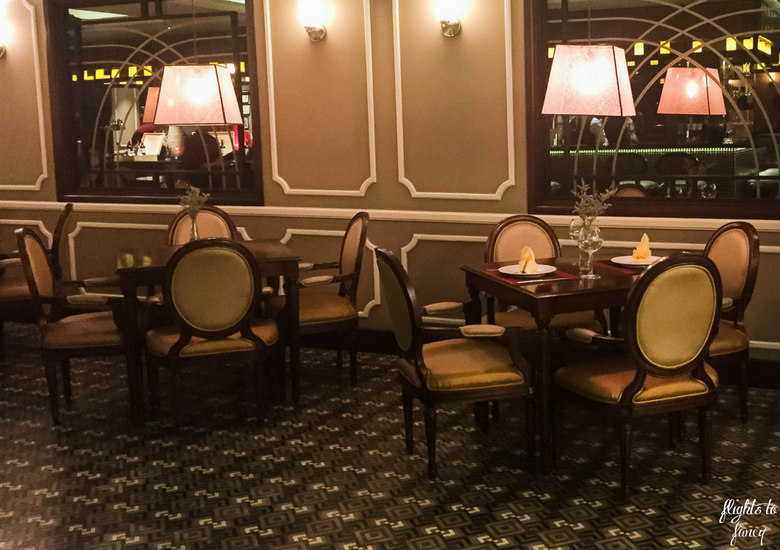 It wasn’t until we stepped inside that we realised that the restaurant is located within the La Siesta Hotel and Spa. 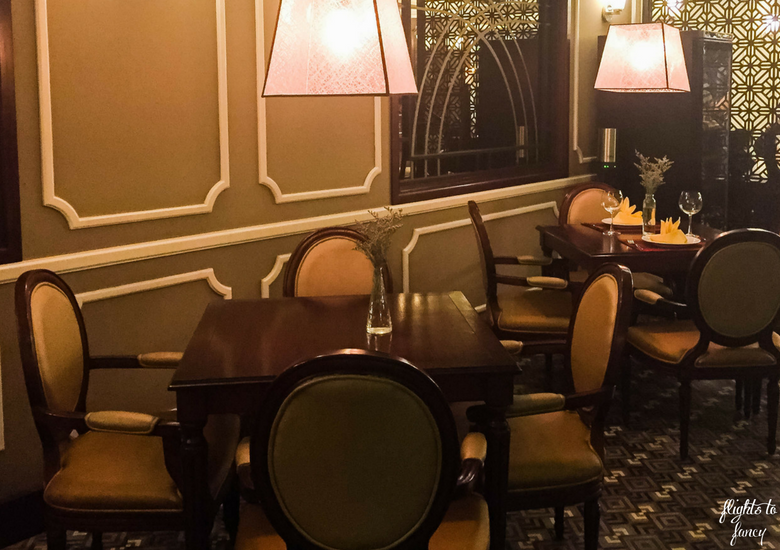 The main dining room is large with subdued lighting, elegant furniture and ornate details which conveys a feeling of luxury without being pretentious. We were dining later than we normally would and there were only a few other guests seated when we arrived. It almost felt like a private dining experience. Grace, our server, greeted us promptly and discretely left us to peruse the menu. The menu at Red Bean Hanoi is (faux) leather bound and contains a number of set menus starting at just VND280,000 per person ($15). We knew we would never be able to eat five courses so we skipped straight to the a la carte section. Red Bean Restaurant Hanoi focuses on high quality and innovative food while remaining true to the roots of authentic Vietnamese cooking. They aim to create inspirational dishes which embody the five elements of metal, wood, fire, water and earth that underpin Vietnamese food. They also offer a select few western dishes for those who are missing the tastes of home. Need more convincing? Red Bean Restaurant Hanoi has 1,752 reviews and is listed as #8 of 2,012 restaurants in Hanoi on TripAdvisor. As we were finalising our choices the beer and cocktail that we had ordered on arrival were served and we were also presented with a delightful complimentary starter. It did contain mushrooms so would not have been something I would ordinarily ordered but I gave it a try anyway. The Hubs does not have the same aversion to fungus as I do and he thoroughly enjoyed the beautifully presented little morsel. Not long afterwards our main courses arrived. I decided on the coconut beef while The Hubs chose the rolled beef. Both were exceptionally presented. The three elements of my main, the beef, the rice and the vegetables were all served individually on a large woven platter. 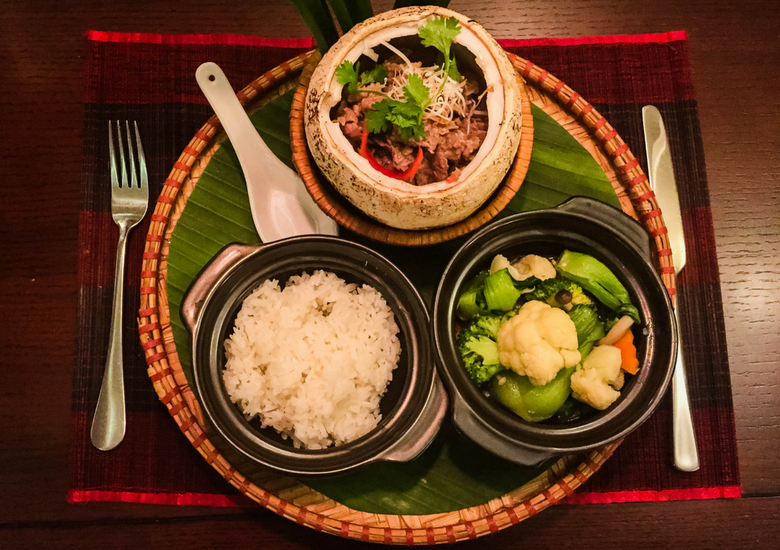 The delicious tender beef was lovingly placed back into a coconut husk in a unique twist. The coconut flavour was delicate but unmistakable. The serving size was incredibly generous and when I was full to the brim it looked like I had hardly made a dent. 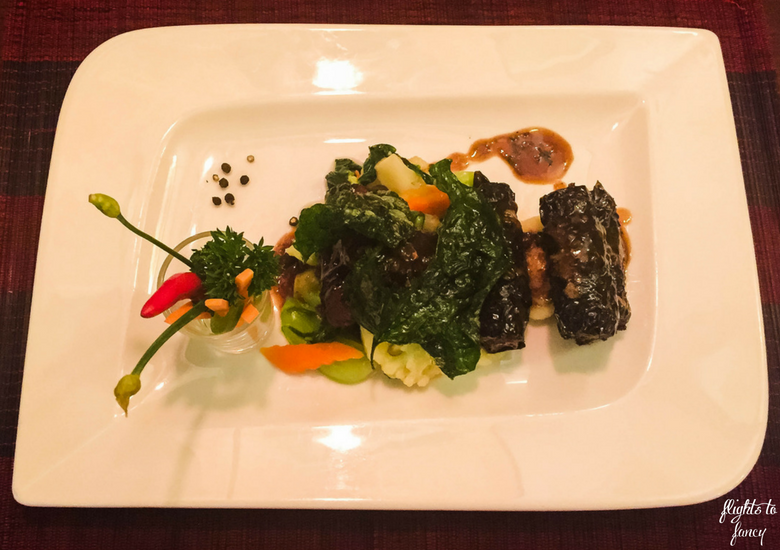 The Hub’s rolled minced beef was served wrapped in pepper leaves with steamed vegetables and a separate pot of rice. While the dish looks delicate it was substantial and more than satisfied his hunger. Our server at Red Bean Hanoi was amazing. Grace was attentive without being intrusive and she was exceptionally polite. She expressed dismay at how much food I had left uneaten and was concerned that I didn’t like the dish which I can assure you was not the case. 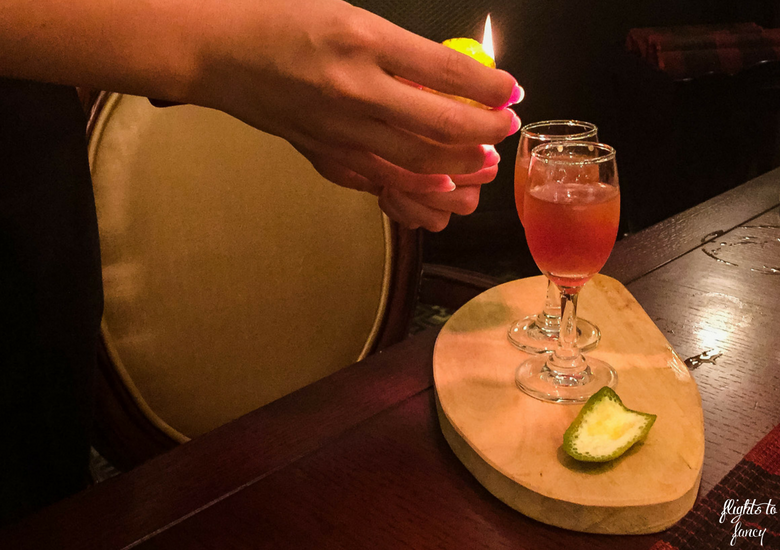 As a finale to our meal Grace presented us with two complimentary farewell drinks which she theatrically served at our table by heating the citrus rind. Our dinner at Red Bean Restaurant Hanoi was exceptional. 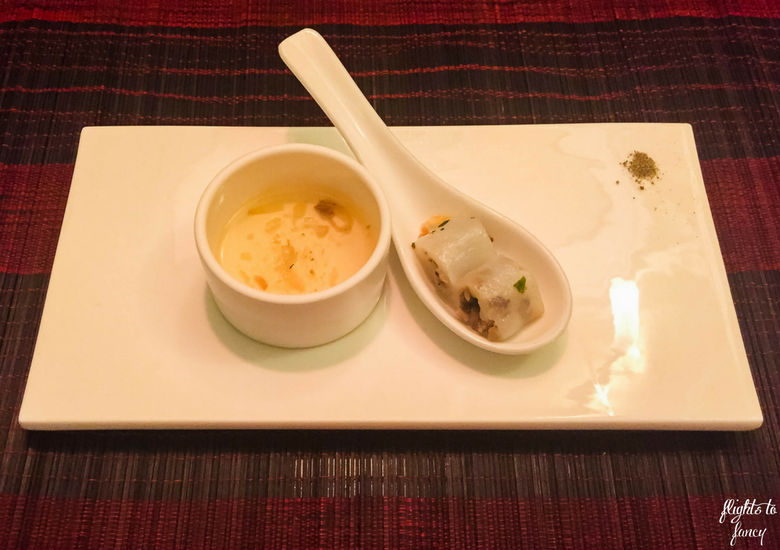 We were delighted to be able to experience traditional Vietnamese cuisine in a comfortable, relaxed setting. Make sure you put Red Bean Restaurant Hanoi on your must do list when you are next in town and while you are in the area check out the water puppets at the Thang Long Theatre for a glimpse into Vietnamese culture that you are unlikely to experience anywhere else. Do you like Vietnamese food? 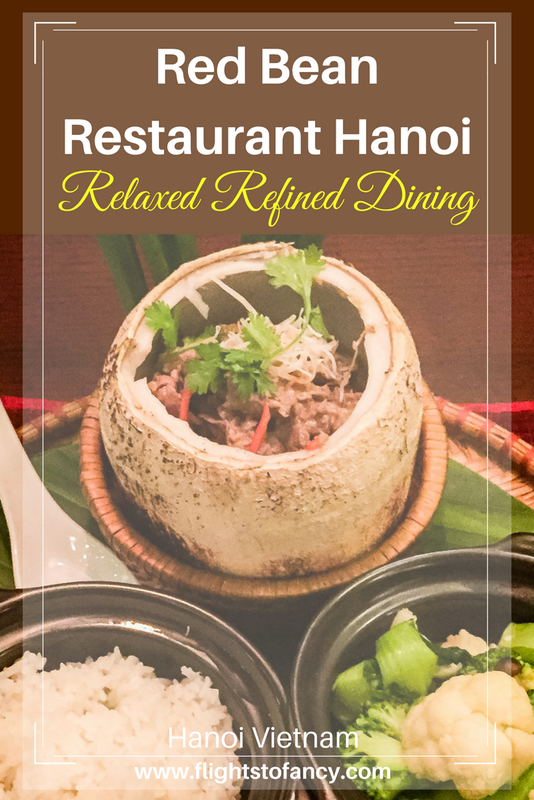 Will you consider Red Bean Restaurant Hanoi when you next visit Vietnam? I’d love to hear your thoughts in the comments below. Disclaimer: This post is not sponsored. I paid for my meal at the Red Bean Restaurant Hanoi in full. As always, all opinions are my own. This post contains some affiliate links which will earn me a few cents to contribute to the running of this site if you make a qualifying purchase at no extra cost to you. I hadn’t heard of red bean before, and didn’t realize it played such a central role in Vietnamese cuisine. Clever to name their restaurant so! And so cute that the owner’s youngest son was nicknamed đậu đỏ too! Red Bean restaurant sounds like an exceptional dining experience – each plate is presented beautifully, a work for art, and I’m impressed at the size of the portions. 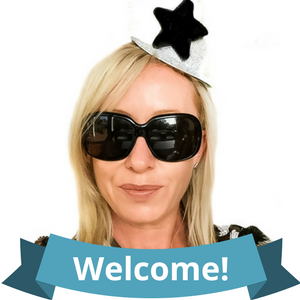 Authentic food with innovative twists, great service and free drinks – I’m in! This is quite a thorough review of the restaurant. The food looks amazing and, of course, the drinks look like fun too! Seems like a great place to have a tasty meal! We were very happy to have found Red Bean. Great atmosphere, fantastic food and exceptional service wins me over every time! Food looks amazing! I have never been in Hanoi but hopefully at some point, I will be exploring these local tastes and places. Thanks for sharing! Hanoi was fabulous Paula! I would love to go back! I was really intrigued by the origins of the name, “Red Bean”, both the deeper as well as the personal significance make for interesting reading. I can see you enjoyed the dinner in the heritage interiors of the restaurant. I loved the final touch of the way the complimentary drinks were served. We sure did enjoy our dinner Sandy and I will never say no to free drinks ??? Wow! 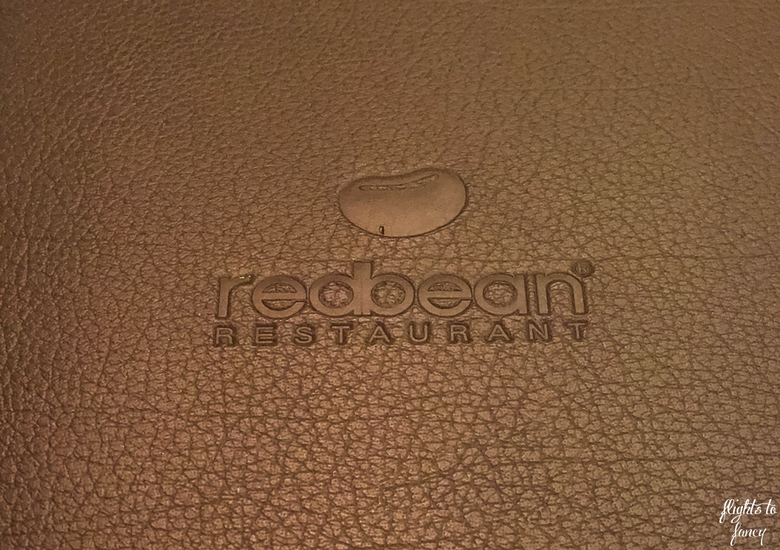 Red Bean looks like such a stunning resturant. The decor and the food both look incredible – and oh so tasty! I’ll definitely look this place up next time i’m in Hanoi! It was amazing Vicki! And such great value ? This place looks amazing! Five courses is a lot and I I think I would have done the same in skipping a few. It’s nice they gave you a complimentary starter as well! Great hosts! Nice read. The service was impeccable Natasha. We felt like very special guests. The exterior of the Red Bean in Hanoi is not what I’d expect in Vietnam. The complimentary starter with mushrooms is not something I would have ordered either but when you get something complimentary you feel like you have to eat it. I got something given in Malaysia which was awful so I did a Mr Bean and took it home to throw away! I think I would have gone for the rolled beef like the hubs! Rice always tastes better in SEA doesn’t it. Hahaha I would be too polite not to try it but I much preferred the complimentary drinks. I love it too Karla! I would love to go back. Wow looks like an awesome place to go for a nice meal! The cocktails look amazing and the beef looks perfect! This place definitely beats the little stools on the side of the street that we ate at! We loved Red Bean. The street food in Hanoi is awesome but it’s lovely to splurge every now and then. Ooh Allison, you’ve made my mouth water! I love eating at street food stalls, especially in Asia, but I equally love sitting down for a special dining experience. Your meal looks delicious and I love the story behind the name! Totally agree Jo. I can totally enjoy both depending on my mood. The restaurant the food and the drinks look really good. It’s great to see a review of a nice restaurant in Vietnam and not yet another ‘street food’ option. We loved the street food as well but Red Bean was something special! Red Bean was lovely Tatum! I’m sure the American version is passable ? We were spoiled with fantastic food all the way through Vietnam but Red Bean was a standout. Superb! This restaurant looks lovely! Can’t believe the prices and the presentation is beautiful. I will have to remember this restaurant for the future! It was such good value Lucy! A similar calibre restaurant in Sydney would have been 4 times as much! This one is going RIGHT on the Hanoi dinner list for October. It’s nice to splash out once in a while, especially if you know it is going to be good. Thanks for the tip! You’ll have to let me know how you go Shannon. I hope you love it as much as we did ? Generally speaking, I loved the food in Hanoi and all of Vietnam actually. But I tended to eat at non-fancy places. But I’d love to try more modern restaurants the next time I visit, thanks for the recommendation. We ate lots of fabulous food in Vietnam as well Natasha. We tried to mix up between Fancy and street food to get a real feel for the food scene. We were not disappointed! I never tried Vietnamese food and your post tempts me to try it. I am vegetarian and hopefully I will get something for me. As this restaurant is ranked #4 on Tripadvisor then it must be really good. They serve complimentary drinks at end which shows they are very hospitable. 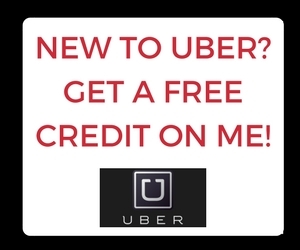 You must try it Yukti and let me know how you go! Hope you love it as much as we did! While I love eating street food from vendors, I agree with you that it’s nice to have a fancier meal every now and then. It helps put things into perspective. Your dishes sounded delicious and your pictures added so much to the descriptions! Exactly! Red Bean was just what the doctor ordered Rachelle! The food looks delicious. Vietnam is in my long list to must-visit places and would love to visit the place soon. Would surely consider the restaurant after reading your detailed review. It had been on my list for a which and I was so thrilled to go. We loved Vietnam. Can’t wait to go back! Looks like you guys had a great time! I’ve never actually had Vietnamese food, but that looks like a great place to try it. Love the beautiful presentation! I’m a newbie to Vietnamese food also Kate but I loved trying it all! The mushroom starter looked delicious! 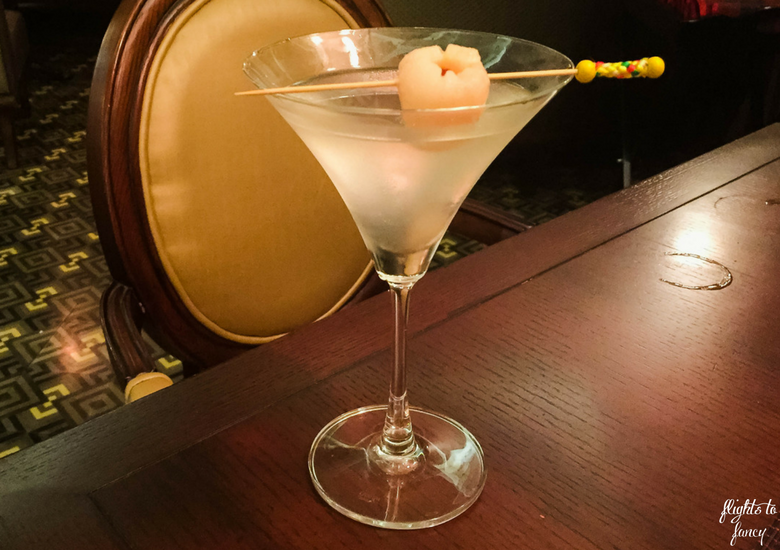 And I’d love to watch a flair styled cocktail in action! 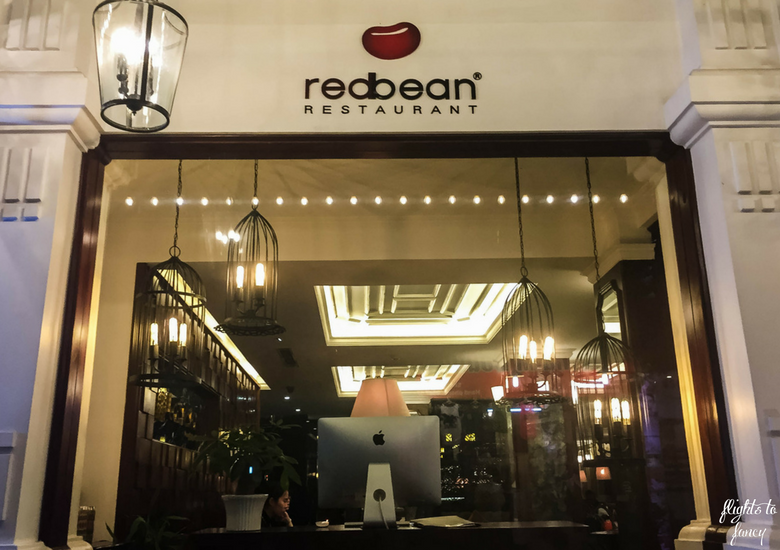 Vietnam is on my ever expanding list of places to explore, so if I’m ever in Hanoi, I’ll definitely have to check out the Red Bean Restaurant! It took me a while to tick Vietnam off Amber but it was worth the wait! Amazing country!!! I wonder if the owner’s child likes being named after the Red Bean?? And I didn’t know that Vietnamese food was so closely attuned to the elements – that’s an interesting touch! This restaurant sounds like an all round winner! I guess he doesn’t have much choice lol. It really was a winner. We loved it! The presentation was sensational Neha and it tasted just as good! I ate at RedBean last year and left with a fantastic impression and a happy belly too. The set meal’s dishes are served in small portions. Each dish was superb and we enjoyed the meal so much! Small world Kristine! I may have to try the set menu next time! The restaurant looks great. You cannot totally know a place unless you have eaten its local delicacies. And if the eatery is good, then there is nothing like it! So true Amrita! I always try some local food when I travel ? 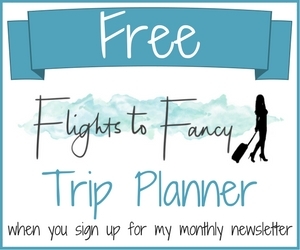 Allison, thank you for sharing this post! I’m headed to Vietnam on Wednesday and I can’t wait to give the Red Bean a try when we make it to Hanoi. I love street food, but I must admit, no one can survive on pho and banh mi for 14 days straight! The cocunut beef will go down just perfectly! Perfect timing Zoya! Hope you have a wonderful trip and you enjoy Red Bean as much as we did. Great review! You surely did have a fine dining experience 🙂 Your photos of the food served are also great! Whoa! The restaurant definitely looks fancy! Once in a while, for an indulgence, its perfect! Naming our redbean, coz he resembled one when he was born? Awww… That’s so adorable! Hope I’ll visit Vietnam in future and when I do, I’ll definitely check out this one. It was a bit fancy but still relaxed which I loved. I don’t really like ‘dressing for dinner’ but still love a great meal ? Wow Allison – it looks like it was one great dining experience for you. I have yet to try an authentic Vietnamese dining experience but if I were to go to Vietnam, I will keep this in mind. I love the beautiful way that the dishes were presented and that they had generous servings too. That is quite impressive how it ranked #4 on Tripadvisor when there are so many good restaurants in Vietnam. That is saying something! You have to try it Abigail. So yum! I absolutely adore Vietnamese food. I am visiting Hanoi next month so will be putting this restaurant on top of our eating out list. The food looks amazing! Perfect timing Kathy! I would love to go back for a repeat visit ? If I have eaten Vietnamese food it was not labeled as such. It looks like this restaurant offered great service and food, which combined, cannot be beat! It was nice that they gave you two complimentary farewell drinks. Yes it was a lovely touch to a wonderful meal Sara ?